CREATE BRAND LOVE WITH CARE CLEVERâ&#x20AC;&#x2122;s promise: Our pet programs drive emotional consumer-to-brand connections with wildly adorable, extremely shareable, and super-compelling content that is brand-safe and results-driven. EVERY TIER EVERY AUDIENCE EVERY SIZE Authentic. Loved globally. Trusted nation-wide. Cute as h*ck. Pet influencers reign supreme in the Influencer Marketing world. 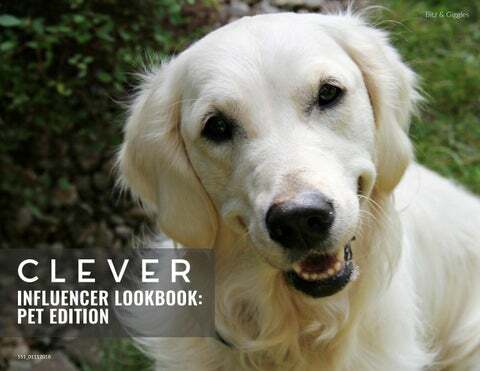 CLEVERâ&#x20AC;&#x2122;s extensive roster of furry friends (& their humans) is the best in the industry. TOP DAWGS (& OTHER FURRY CELEBRITIES) Leaders of the pack. Astronomical social paw-prints. Guaranteed to make you go “Aww!”. 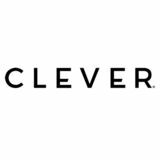 CLEVER represents digital animal kingdom royalty. FOUR-LEGGED UP-AND-COMERS CLEVERâ&#x20AC;&#x2122;s cuddly & compelling storytellers boast dog-ear worthy, paw-some brand content! THE WET-NOSED PETS NEXT DOOR Mark your brand’s territory with CLEVER’s ever-growing lineup of furry social media personalities. PETS: A BRANDâ&#x20AC;&#x2122;S BEST FRIEND Compelling. On-brand. Timeless. Digital pet influencer-created content is fur-ever content. CLEVER KNOWS THE POWER OF PETS Hear it straight from the horseâ&#x20AC;&#x2122;s mouth! Page through to see our pet influencers' most paw-some content.